What to expect for your bathroom renovation budget. Figuring out how much you spend is the obvious first step and here’s what you can expect for your money. The basic: $3000 (DIY) to $12,000: You probably won’t be able to move any plumbing or fixtures but you should be able to replace lighting and fixtures with big-box, off-the-shelf products, which–due to their lesser quality–may need repair or replacement in 5-7 years. You’ll want low-end granite countertops that can be offset with creative backsplashes to look more high-end. You won’t be able to tile the entire bathroom, but you could use ceramic tile in the shower/bathtub area. Except for backsplashes, the walls would probably be painted and cabinets could be replaced with off-the-shelf renditions or old ones could be replenished with paint. You can splurge on accessories to draw eyes away from run-of-the-mill cabinets or tile. The mid range: $10,000 to $35, 000: At this range, you’ll be able to move some plumbing (but not the toilet) and get modern, efficient, low-flow fixtures with good quality internal parts. You might even be able to change the bathtub size (space allowing). Ceramic tiles are a good bet for walls, floors, shower and tub areas: they’ve come a long way in the last few years and–depending on the type you choose–they’re all but indistinguishable from natural stone, at least to the casual eye. Countertops can be a custom or remnant marble, granite or quartz with borders and accent tiles. You’ll be able to install better quality fixtures that have brass or bronze cores which last much longer than coated plastic. A frameless glass jetted shower enclosure is possible but remember that you can easily blow $10,000 on just this part of the bathroom! Movin’ on Up: $30,000 – $100,000: At this level, you’ll be doing a full gut, so you can put everything exactly where you want it, knocking out walls into an adjacent room to make the bathroom bigger or maybe even adding a sauna if there’s space. Custom cabinets can be solid wood with exquisite finishes, detailed trim and moulding. Lighting and beautiful accent pieces can be added. Plumbing fixtures will be high-end and options like heated flooring and steam showers abound. Walls, showers and floors can be natural marble, granite or limestone—which are more difficult to cut and require more maintenance, but have a singularly unique character and look. You should also remember to allow an additional 10-20% for unseen costs (like water damage etc.) that might arise along the way. It’s possible to do your bathroom renovation anytime, but a common time to start is during winter or spring. Remember, you’ll need a back-up place to do your business and perform ablutions. Planning, researching, figuring out your budget and picking out materials often takes at least a couple of months and its not uncommon to go on for up to 6 months. Construction usually takes three to eight weeks, depending on the scope of your project. 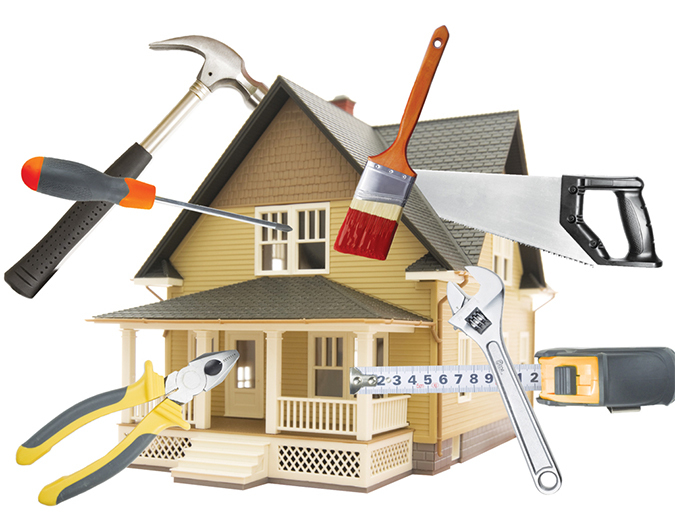 You should begin by determining which of the three levels of renovation your remodels falls into. Then, begin looking at what other people have done by looking at pictures. That way, you’ll be able to firm-up what style, materials, features and amenities you’d like. Don’t take the planning too far, though: get together with a professional designer after you’ve decided on the basics because they can quickly assess your budget and goals and use their experience and expertise to guide you toward what’s best for you. For your free bathroom quotation, email info@bellconinteriors.ca or call us at 416.420.6648.